Mega-City One, 2140 AD. This vast urban hell on the east coast of post-apocalyptic North America is home to over 100 million citizens. With the population crammed into giant city-blocks, and unemployment widespread, crime is rampant. Stemming the tide of chaos are the Judges, empowered to dispense instant justice. 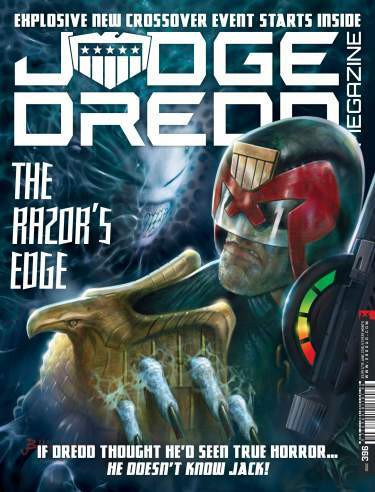 Toughest of them all is Judge Dredd – he is the Law!